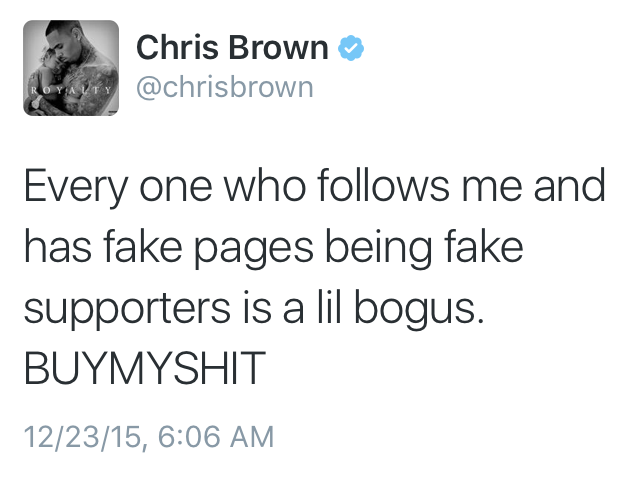 Posted on December 24, 2015 by M.E. 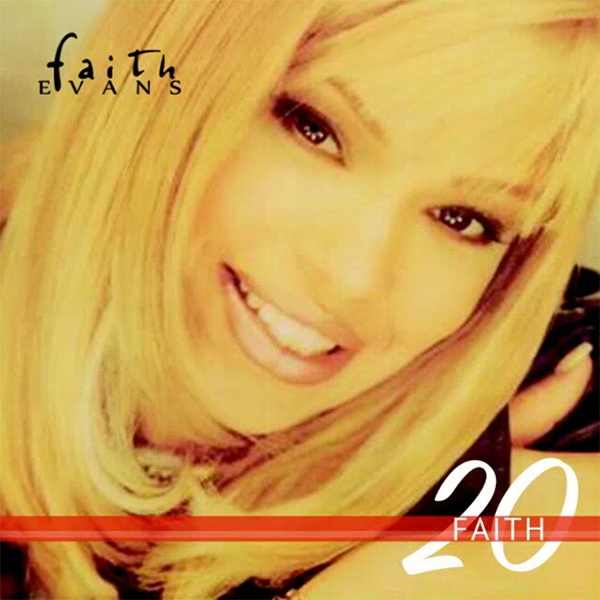 One of my favorite female R&B sangers celebrates the 20th anniversary of her Bad Boy debut Faith, Faith Evans will release an EP of remakes called Faith 20. She teases with “Fallin’ in Love” off her 1995 album. The new version sounds just like the original, but updated for 2015. She will drop the full EP on Christmas Day. 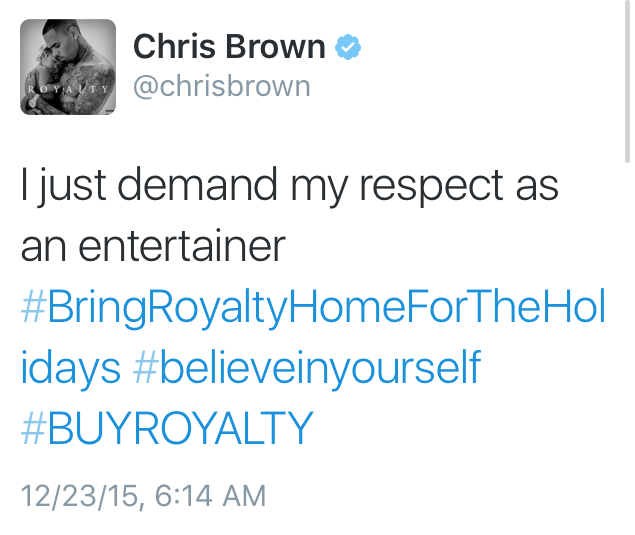 Chris Brown has been pleading with fans to buy his new album Royalty. 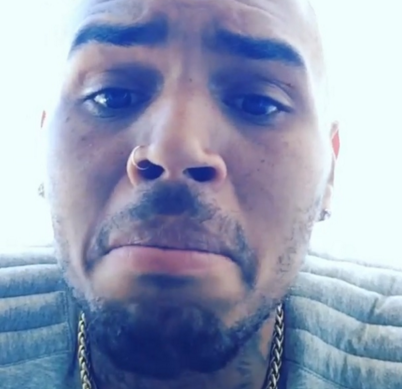 Chris Brown’s new album Royalty is predicted to sell between 125-135k in its first week but apparently that’s not enough for CB. 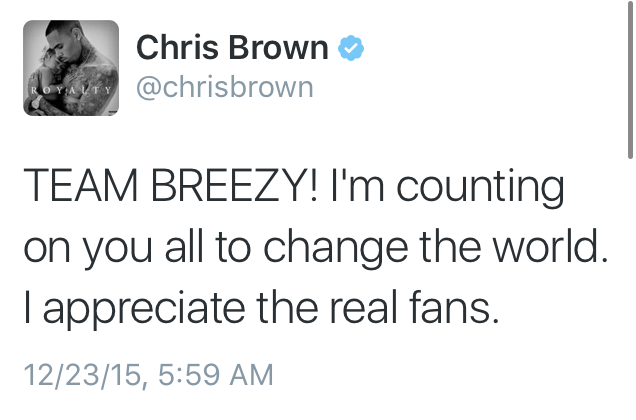 Chris Tweeted his fans begging them to help him change the world. 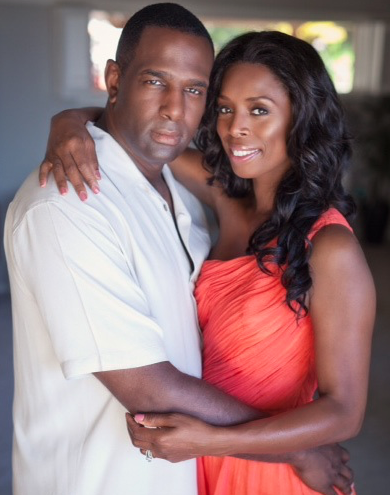 Back in March actress Tasha Smith was ordered to pay her ex-husband Keith Douglas $7k a month in spousal support along with a $50k lump sum settlement. Now the marriage has been annulled. According to TMZ Tasha and Keith’s marriage has been wiped from the record books because Keith turned out to be a con artist! Apparently Tasha had no idea Keith had been married five times before marrying her and he lied about the number of kids he had. Keith also lied about being a pastor and his past criminal history. A judge agreed with Tasha that the marriage was based on fraud granted the annulment. On season 8 of The Real Housewives of Atlanta Phaedra Parks confronts Kandi Burruss about hiding expensive motorcycles at her house for Phaedra’s husband Apollo while he serves time in jail for identity theft and bank fraud. 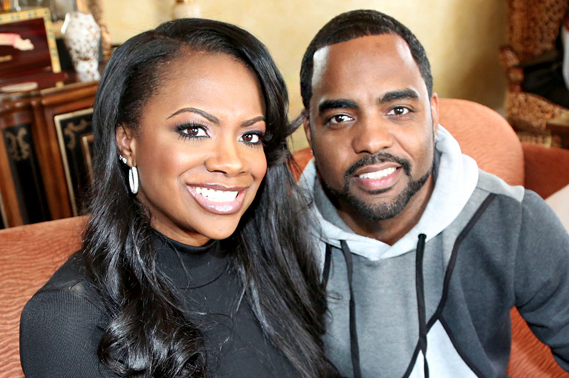 Well the Feds came knocking at Kandi’s door and confiscated Apollo’s bikes. According to court documents obtained by Radar, the United States government recently filed a notice that read, “The personal property of Apollo E. Nida … is being taken by the United States” in order to help pay off his staggering $1,949,925.67 restitution debt. Don’t Call It A Comeback!! Teyana Taylor Snaps Back After Giving Birth 6 Days Ago. 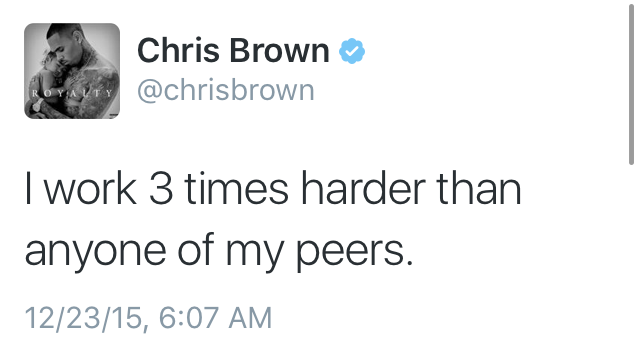 Posted on December 23, 2015 by M.E. Teyana Taylor just sh**ed on the game when she posted a picture earlier today of her 6 pack abs, after just giving birth to her daughter 6 days ago. 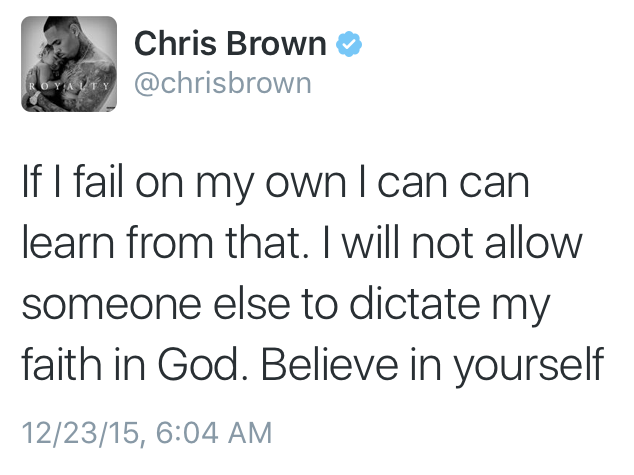 Posted on December 22, 2015 by M.E. The upcoming biopic based on the life of iconic rapper Tupac Shakur has taken a huge step forward thanks to the casting of newcomer actor Demetrius Shipp Jr. in the leading role. The movie called All Eyez on Me, started filming last week in Atlanta with music video director Benny Boom. According to TMZ, Shipp’s father worked in the music industry and had met Shakur a number of years ago. Demetrius was introduced to the legendary rapper at a young age and has been a fan ever since. To top it all off, he shares a striking resemblance to the late hip-hop icon, which was definitely a selling point for the producer, Hutton. 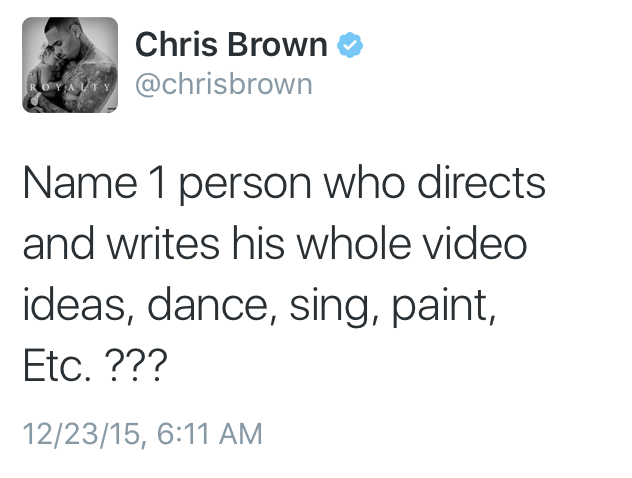 The film is also set to feature Tupac’s death, which took place in 1996. Demetrius bares a strikingly resemblance to the late Tupac, hopefully his acting will be on point as well. Posted on December 21, 2015 by M.E. 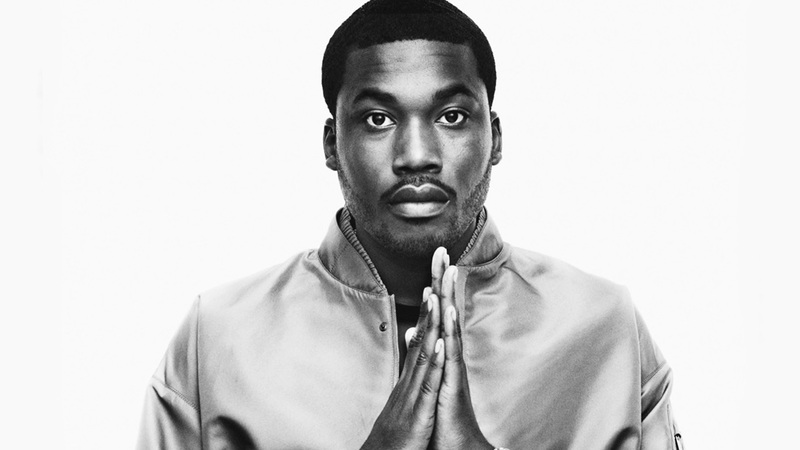 Earlier last week news leaked that Philly rapper Meek Mill was facing jail time for violating his probation. Meek is one step closer to lock-up. Meek Mill was found guilty of violating the terms of probation for his 2008 gun charge and is facing up to one year in prison. Meek has been ordered not to work or perform any shows until his February 5 hearing and is confined to southeastern Philadelphia. Meek violated probation by not informing his parole officer before traveling.